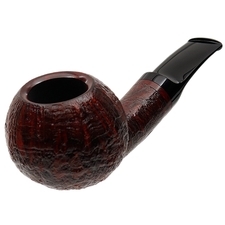 Chubby and forthright, this handy bent Apple shape showcases Vladimir Grechukhin's penchant for implied forward momentum, coupled with his historical tendency toward muscular forms. 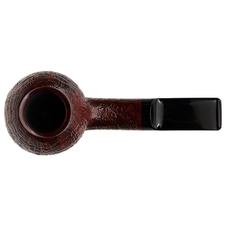 As a Grechukhin Design pipe, it's been singularly drawn up and shaped by Vladimir himself, meaning each piece is unique in its own right. 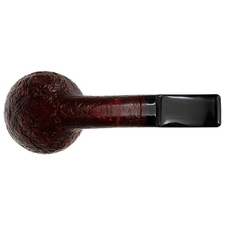 As for the finish, Alexander Tupitsyn coaxed a rippling display of ring-grain, graced with a rich, smokey contrast, making for a smoldering presentation with no shortage of stimulating texture. 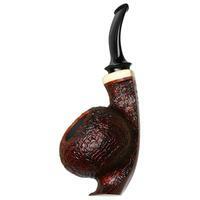 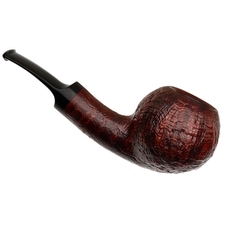 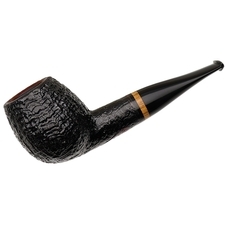 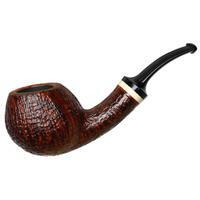 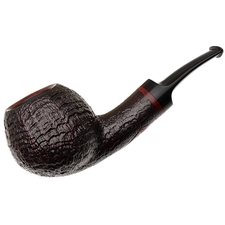 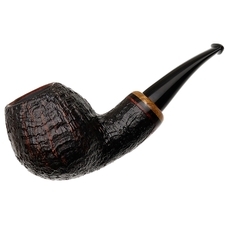 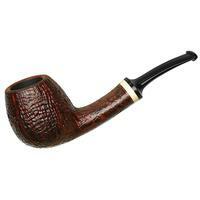 Adorned with a hand-cut stem, it's a pared down form, given the Russian carver's dynamic style, and I quite like it.